Cramer & Anderson Partner Dolores “Lorry” Schiesel was working on a recent real estate closing when it was revealed just a week before the closing date that local permitting wasn’t in order for dormers that had been installed on the house. It looked like the work was done properly, but there was no record of permits at the local zoning or building office. The issue could have hung up or potentially derailed the sale, but fortunately the builder who did the work was able to jump in and quickly get everything straightened out for the seller. “More and more, there’s been an expansion of things you need to look into before buying,” Attorney Schiesel says of pre-sale home inspections. Sellers, buyers and Realtors are very familiar with the checklist that includes inspections of wells, septic systems, dwelling units and other structures. They are also familiar with the title search process that assures the seller has clear title to the property. 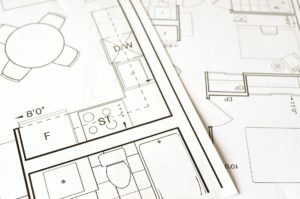 Increasingly though, due diligence by buyers also includes something called a municipal inspection, which checks town building department files to ensure there is a certificate of occupancy and necessary permits were taken out for work on the house such as electrical upgrades, new decks, adding dormers or converting a basement to a rec room. A building inspection involves hiring a private inspector to examine structures on a property, which includes ensuring that heating and air conditioning systems work, and plumbing and electrical systems are in order—as well as assessing the condition of the foundation, basement, roof, attic, windows and doors, and more. Inspectors’ reports include notes detailing concerns and cautions, along with recommendations, but houses don’t “fail” inspections. Instead, the inspection gives buyers information to use in deciding whether to proceed with a purchase as structured and at the agreed-upon price, or go back to the seller and request a reduction in the sale price, or that issues flagged in the inspection report be remedied before closing. Let’s say the building inspector finds that sliding glass doors added when a wall was opened up to access a new deck are leaking when it rains. That problem can be addressed through a negotiation between buyer and seller—but other issues may be lurking in the background: Were proper permits obtained for the deck project? Does the work meet the municipality’s building code? That’s where a municipal inspection comes in, and these inspections can be commissioned either by sellers who want to know about potential deal-breaking problems before listing a property, or by buyers who want to make sure their new home is hassle-free and doesn’t come with a hidden violation that could be costly or difficult to address once revealed. “You go in and look at zoning and building permits, and make sure all the ducks are lined up,” explains Attorney Schiesel of municipal inspections, which look for problem areas related to permits, zoning, property setbacks, and additional issues for larger multifamily properties. If a municipal inspection isn’t done, and lapses exist, it could create problems for either the seller or buyer—or both. Buyers could have difficulty obtaining financing if permitting or zoning issues come to light as the lender goes through the due diligence process. If the sale goes through and then issues are discovered later, buyers could be forced to obtain proper permits after the fact, which could be difficult and costly. Sellers, meanwhile, are required by law to disclose known issues of concern—even if they’re saying the property is being sold “as-is.” The latter designation simply means a seller isn’t willing to undertake upgrades as part of the sale; it doesn’t mean the seller can legally choose not to disclose problems. Often a seller will sign a contract stating that all work was done with proper permits. A municipal inspection assures that buyers have confidence in the property’s permit status as well as condition. 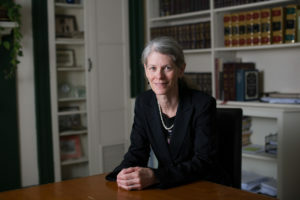 State law in Connecticut General Statutes Sec. 29-265(c) as amended in 2017, provides that a building permit shall be deemed “closed” nine years after the date of issuance for construction in a one- or two-family dwelling or structure on a residential lot. While this offers some protection for sellers, it still may leave them having to request a file close-out, as it is known, for work done within nine years of the sale. The statute does not apply if no permit is ever taken out. Buyers who are aware of new work done on a structure, but see no permit in a file, may wish to have the seller take out a permit, have the work inspected and the file closed. If you are having work done on your home, whether you plan to sell or not in the near future, it is advisable to be sure your contractor opens the necessary permits and that the building office has a record that the work was properly done and inspected. That file close out will save time and worry in the future. For buyers, a municipal search does not assure the quality of the work, but will assure the proper permits are in place. The issues that might arise from a municipal inspection can be nuanced and complicated. Those seeking guidance on a property sale or purchase may email Attorney Schiesel, the Resident Partner in the firm’s Kent office, at drs@crameranderson.com or call the Kent office at (860) 927-3568.